It was a perfect weekend for bbq. 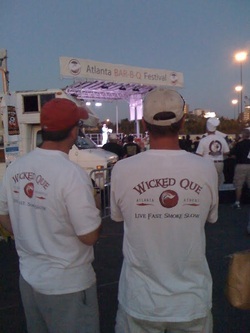 Team Wicked Que was there with some help from some friends, Bill, Brendan, and Billy. We decided to enter the Chicken, Pork and Brisket catagories, our top three. It was a Best of the Best contest, so we could have done ribs or hole hawg. 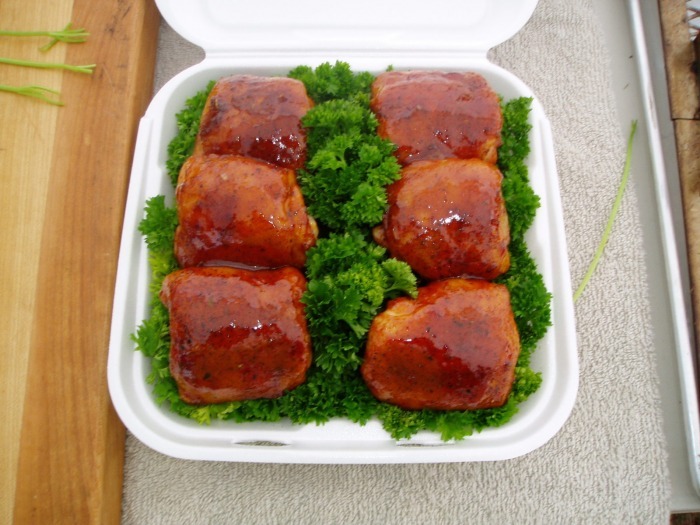 I tried out a new sauce the week before at the Inman Bbq and Blues and the crowd really liked it, so we put it on the chicken and pork. The judges like it also! We were first in Pork! and 2nd in chicken, the Brisket turned out great, but came in 6th. 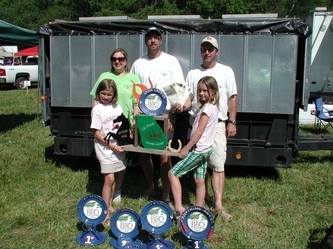 Overall we were Runner-ups. A very nice weekend. What a great weekend! 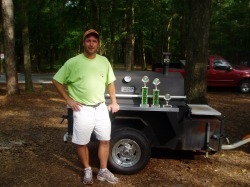 Not only Grand Champions but a perfect score in Chicken and a first in Pork, second in Brisket and ninth in Ribs. That's four top tens and we had family there which made it even more special. The folks put on a great contest and we look forward to coming back next year to defend!